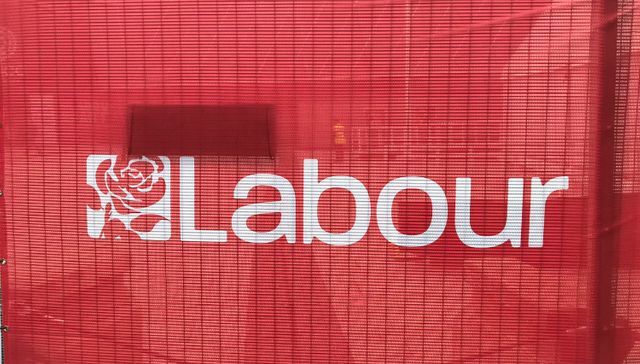 Labour Party Conference: What did we learn? Last year Adam wrote of a carnival atmosphere as Brighton hosted a Labour conference fresh off the back of an unlikely election performance. While the positivity remains, Liverpool felt different. The party seems more cohesive. There is a sense that another general election is approaching and that differences can be overlooked for now as attention turns to returning to power after eight years in opposition. John McDonnell is a man on a mission. The decision to leave the EU was in part driven by a sense among people that they lacked control, that things needed to change. Since 2016 domestic politics has been dominated by Brexit. Whole departments have been created and almost all political bandwidth dedicated to delivering the UK's departure. Domestic policies have been few and far between, Labour are keen to exploit this void. Building on their 2017 manifesto, there were a flurry of new announcements (some below) and plenty of ideas being tested at fringe events. In the past politicians have been accused of “all being the same”, with there being essentially no difference between the options on the ballot paper. That no longer applies. Labour are offering significant change. Two motions to end the private sectors involvement in public services were raised during conference. Both passed with over whelming majorities. While further information on how this will work in practice will come in any future manifesto, the direction of travel for Labour is clear. Water, rail, energy and mail will all be brought back into public ownership – a list that looks likely to grow. An Employee Ownership Fund - Businesses with over 250 employees will be made to transfer at least 1% of their ownership into an ‘Inclusive Ownership Fund’ each year up to maximum of 10%. This will fund a yearly dividend of up to £500 per worker - but any dividend above £500 is paid to government to fund public services.They estimate that it would cover 40% of the private sector workforce and raise £2.1bn a year when rolled out fully. Putting workers on boards - Labour would require at least two board members, or a third of the board, whichever is the higher number to be workers. Those workers must also be members of a trade union. Labour are also keen to redress the regional imbalance of investment across the UK – with current Treasury rules seen as “bias against investing the regions and nations”. An olive branch on Brexit? Corbyn closed conference with a speech that seemed to offer Theresa May a route out of her Brexit conundrum. “But let me also reach out to the Prime Minister, who is currently doing the negotiating. As I noted yesterday – Labour wants a general election and will vote down any deal that doesn’t meet their six tests. However, Jeremy Corbyn appears to be offering the Prime Minister a potential route through parliament for a deal, as long as she is willing to soften her stance. With ‘Chequers’ discredited and the Free-Trade-Agreement plans put forward by some Conservative MPs unable to solve the Northern Irish border question, a softer Brexit may be inevitable if a deal is to be agreed. While it is hard to imagine Theresa May can maneuver towards a softer Brexit and keep the support of her party, Corbyn’s offer is clever. Committed to honouring the result of the referendum, he is publically offering his party's support for a ‘soft Brexit’. If Theresa May ignores his offer and fails to secure a deal, she will not be able to blame Corbyn and Labour for the consequences. Labour feel ready for government and that they have a convincing offer for voters. Whether they get the chance to prove this before 2022 is another matter. Adam and I will both be at the Conservative party conference next week to update you on the mood in Birmingham.